When you build your camera package, you start from the ground up. Start here. 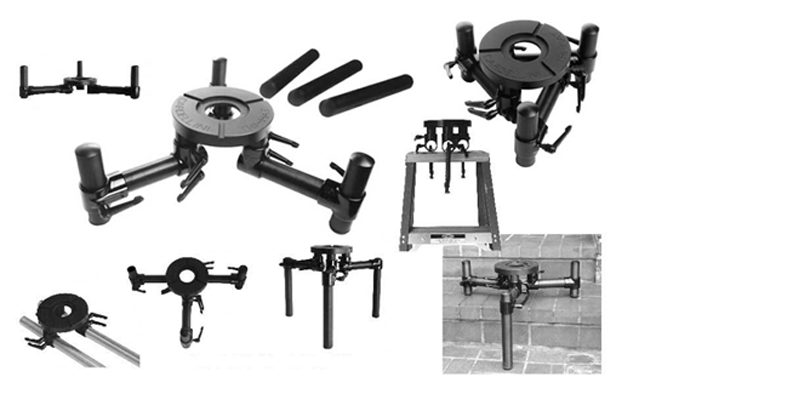 Ronford Baker tripods have been the preferred choice of professional cinematographers for over 40 years. 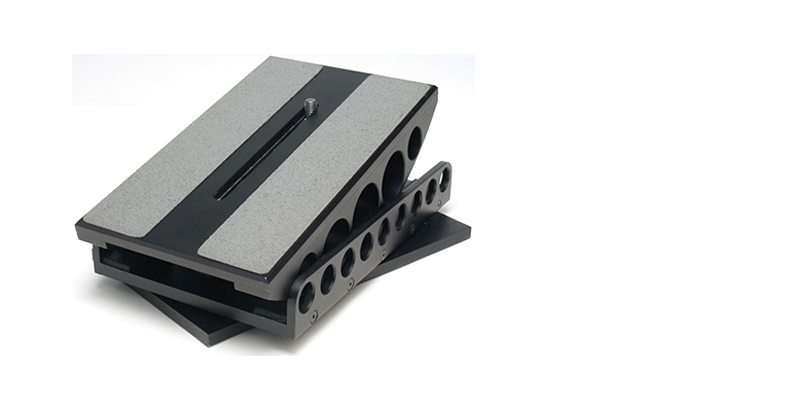 Designed and manufactured from aluminium in Heavy Duty, Medium Duty or Light Weight. 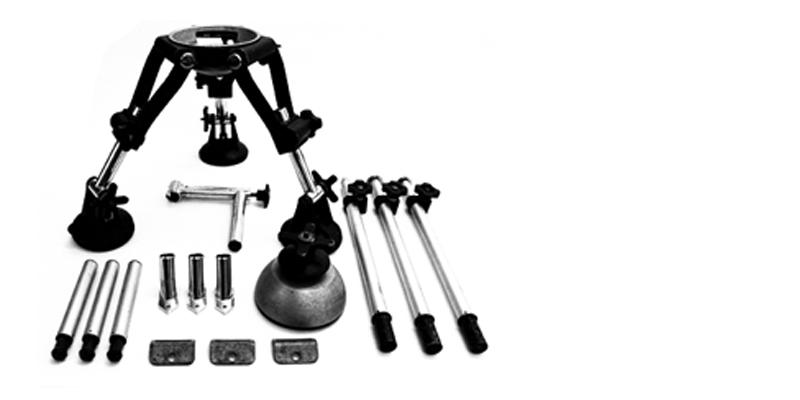 Also from Ronford-Baker, the Limpet systems stirrup castings pivot from the head and terminate in very efficient nylon cam clamps operated by large diameter handwheels, making the changeover from one set of legs to another a matter of seconds. The combination of legs covers any height from floor to 2´ 11"
The most versatile 3-legged high hat ever. Easy leveling. 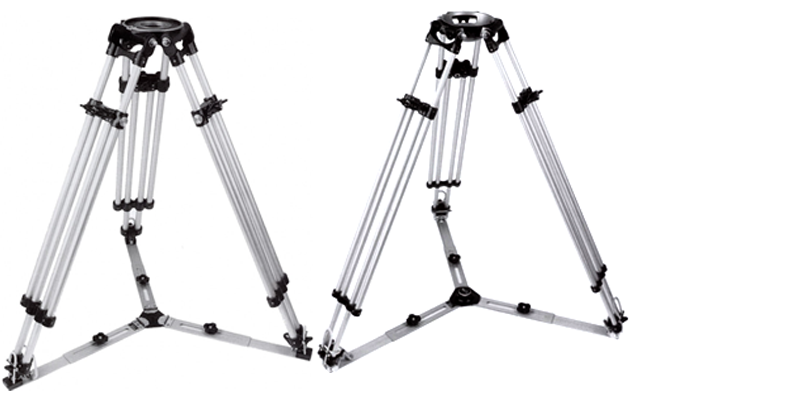 Interchangeable legs slide up/down and angle at the ends of three radiating arms. Arms can be pivoted or slid in and out to control where feet land. Comes with 6" and 12" legs with rubber feet. Maximum height of Mitchell mount is 15". Minimum height is 3" (in low mode). Components are 1¼" speedrail so custom adaptations, such as condor rigs, are easily accomplished using 1¼" pipe. Mitchell plate and pipes are hard black anodized. Works great in back seat of car, on steps, or on steep or rocky ground. Our Hi and Lo Hats are made of machined aluminum castings and finished with a sleek powder coated hammertone black finish. 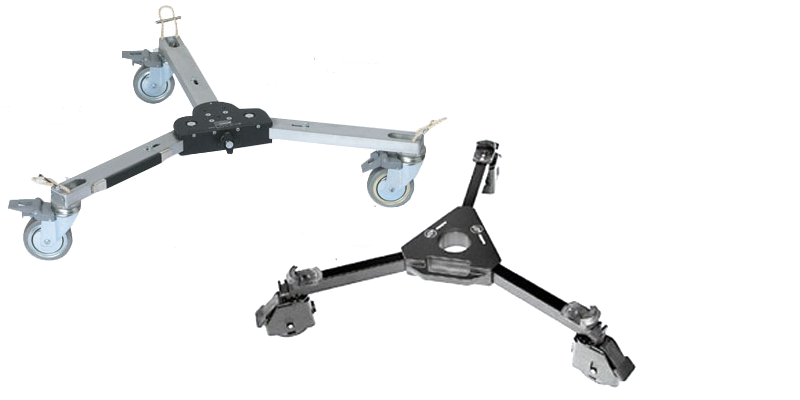 A compact camera mounting unit with tilt adjustment in two planes. It will allow the camera to be inverted 180°. The base has a series of holes for various mounting options. For pan and tilt ability from an extremely low angle. For smooth level surfaces only. Ronford and Sachtler brands.